Northbrook, IL – April 22, 2015 – (RealEstateRama) — The Boulder Group, a net leased investment brokerage firm, has completed the sale of a single tenant net lease Hobby Lobby property located at 141 North Pointe Blvd in Statesville, NC for $6,649,500. The 55,000 square foot newly constructed Hobby Lobby is strategically located near the Interstate 40 and Interstate 77 interchange along Highway 21. The surrounding area features many national retailers including Lowe’s, Home Depot, Staples, Aldi, TJ Maxx, and Michael’s. There are approximately 25,000 people living within a three mile radius of the property. Randy Blankstein and Jimmy Goodman of The Boulder Group represented the purchaser in the transaction; a California based investment firm. The seller was a North Carolina based real estate development firm. Hobby Lobby has fifteen years remaining on their new lease that features rental escalations every five years. 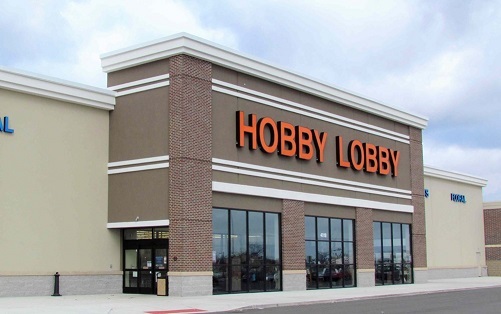 Hobby Lobby is a privately held company with over 600 locations across the country. Hobby Lobby is included in Forbes’ annual list of America’s largest private companies. While Hobby Lobby continues to grow steadily, the company carries no long-term debt.